An-easy-to-eat appetizer that can also be a meal with a few extra veggies. The filling of tuna, KNORR Pronto Napoli and KNORR Garde d'Or Hollandaise sauce makes a great flavour mix. Combine tuna, KNORR Pronto Napoli, KNORR Garde d'Or Hollandaise Sauce, salt, pepper and herbs. 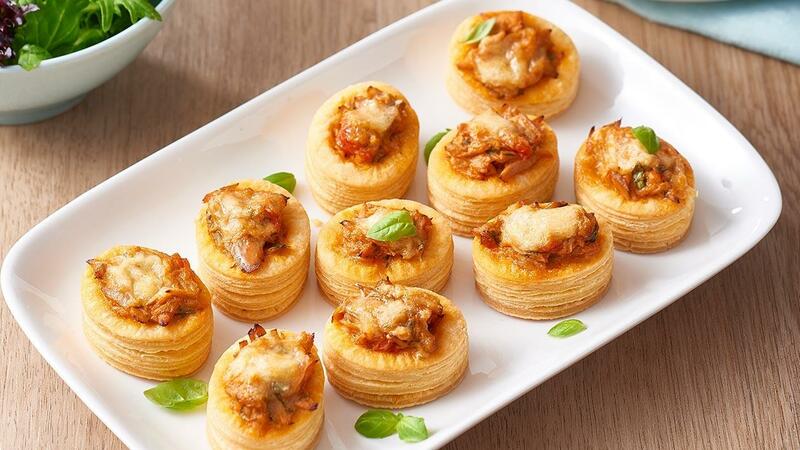 Spoon mixture into vol au vent cases. Sprinkle with cheese. Bake at 175C for 20 minutes or until golden and heated through.